I’ve been to Denver plenty of times, but I’ve also only really been once. That’s because while skiing is a big part of Denver and Colorado’s identity, most of the major ski resorts actually sit to the west of Denver. People are often surprised upon first arriving in the city that if you look out to the east, it’s a landscape you’d more associate with neighboring Kansas. So people who arrive at Denver International Airport tend to head west out of the city immediately, myself included. The one time I did spend a measurable amount of time in the city, I’ll admit it wasn’t terribly memorable. This was more than ten years ago now. Denver’s gone through radical changes since then. It’s become more and more a cultural mecca and an attraction unto itself. Just take a cue from Amazon. It’s much ballyhooed plans to build a new headquarters has every city in America falling over themselves to bid for it. Based on Amazon’s stated criteria, Denver is one of the handful of cities that actually stands a chance. The New York Times even did a data piece heralding the city as the ideal spot. Even if they don’t get the headquarters, their prominent place in the running is a testament to the work that the city has done to become one of the most desirable towns in America. A big part of that growth has been the local music scene. 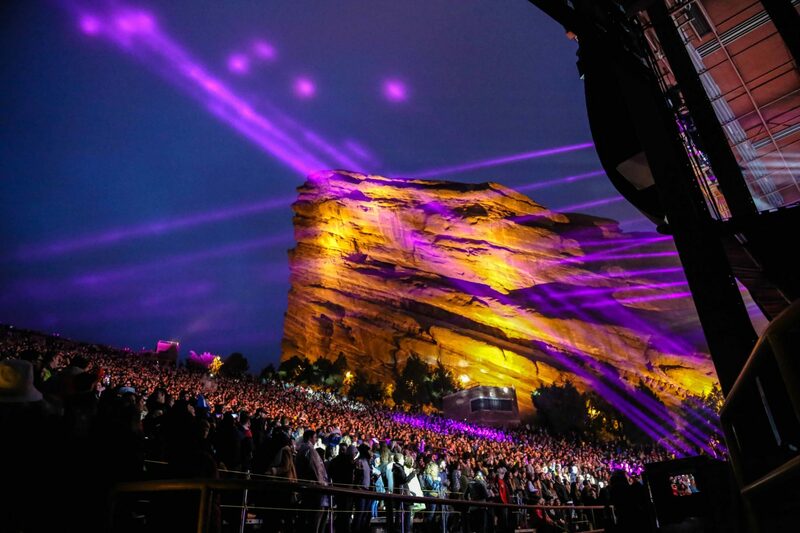 Denver’s population has exploded in large part because young professionals are attracted to the high quality of life in the city and music is, of course, an important contributing factor. 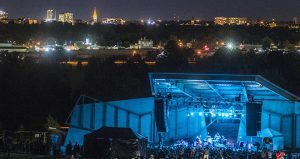 The city’s music scene is likely to get a boost in 2018 as well with the city council having completed negotiations and approved Superfly Productions’s bid to bring a massive new music festival to Overland Park Golf Course. Superfly already has several successful large-scale music festivals in its portfolio, including Bonnaroo. It seems natural that Denver would be an ideal spot for the festival, “We have so many people coming here already for the marijuana industry it just makes sense to capitalize on that,” said Cacciavillano. However, the festival has already proven controversial, in large part because of its placement. The golf course is located in the quieter south Denver area, and locals haven’t been uniformly thrilled about the festival’s arrival. “I know the community is very sensitive about it and I’m not sure Denver all around is going to be happy about it once it happens. 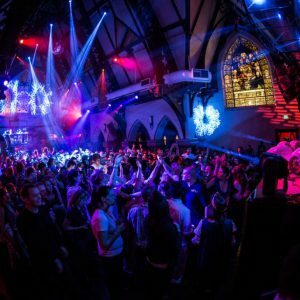 It could be kind of like EDC bringing millions upon millions of dollars to the city of Las Vegas, but the locals just hate having it in town every year,” Kroll (who is herself looking to move to nearby Englewood, CO) said. It could be an inevitability for that part of the city. As more people look to settle the area, people are looking to live in south Denver as the downtown fills up. Their increasing demand for amenities close to home has already seen several new venues pop up in an area that previously resisted them or didn’t have the population to support them; venues including Levitt Pavilion and The Gothic. In fact, the explosion of growth in the Denver area might be both straining the music industry and creating speculative growth. 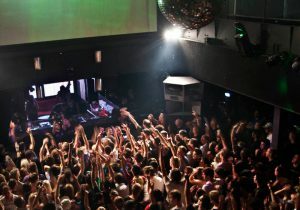 “We are so spoiled with the amount of music and shows, across all genres, that come through Denver,” said Lance Dunlap, executive director of entertainment at Beta Nightclub. “[But] the amount of competition and saturation is a constant challenge.” As the scene becomes more desirable, more local and independent promoters are finding there’s more attention being paid to the area. The reality of where the music scene nationally is now is one of consolidation, as many industries are seeing. 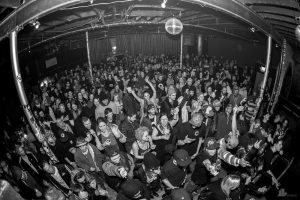 Kroll believes that Denver’s music scene is suffering from that, “We are seeing a trend of a monopoly forming in the city … and that’s really discouraging to witness for both the artists as well as the customers as it becomes more challenging for independent venues to thrive.” The evidence is there too. One prominent example from earlier this year is the independent Globe Hall being sold into the AEG family of venues they own in Denver. Denver has always been a beautiful and very livable city. It’s remarkable that it’s taken this long for people (me included) to realize this on their way out to the ski resorts. Now it’s beginning to see a large influx of people all realizing all Denver has to offer. Seemingly overnight, the cultural infrastructure meant to support a smaller city is servicing a much larger population. While this is a good problem to have, Denver must be careful to make rapid expansion sustainable in the long-term as well. That means working with the existing community and bringing the new neighbors in on understanding the community they’ve joined and committing them to it. Supporting local venues that support local artists. And while not outright rejecting larger corporate partners and events, but holding them to the promise of respecting and preserving the character of the local music scene. Denver has what might be America’s fastest rising music scene. And it could potentially be outright America’s best music scene.